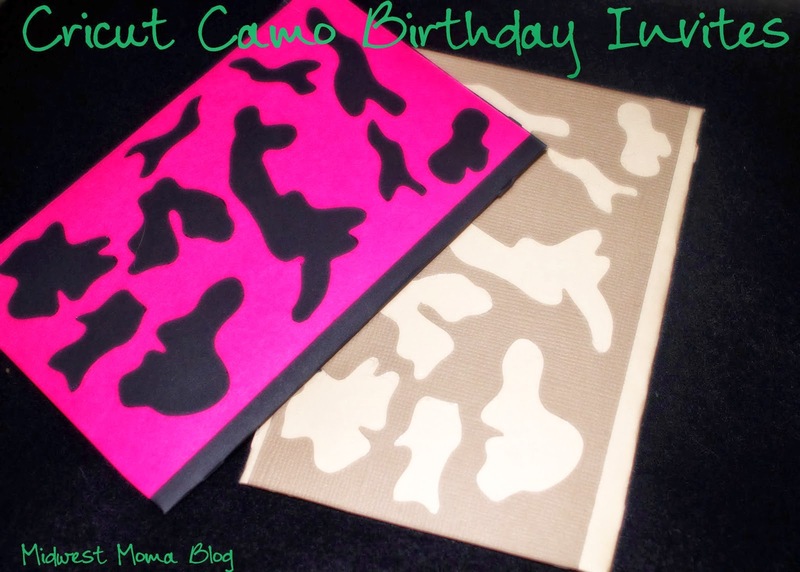 Midwest Moma Blog: Camo Birthday Invites! These are the invites we made! To make these exact ones you will need a Cricut and the Stand and Salute Cartridge. I used the Camo Cut on Shift, cut at 3 inches. Now, when you do this you need to note that the cut is meant for you to keep the pieces that are cut out. What I did was remove those pieces (for another project down the road) and cut, as even as I could, around the camo cut out. What you see here is the end result. 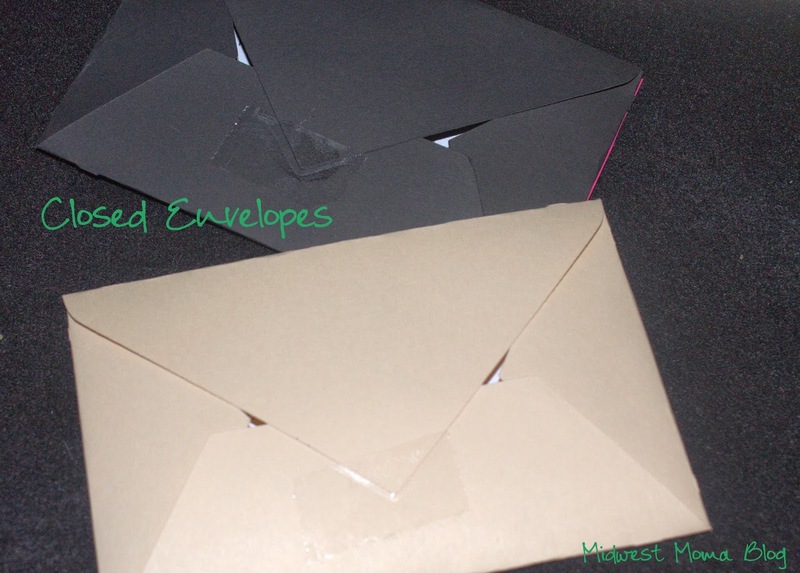 I then used the envelope cut at a custom size. 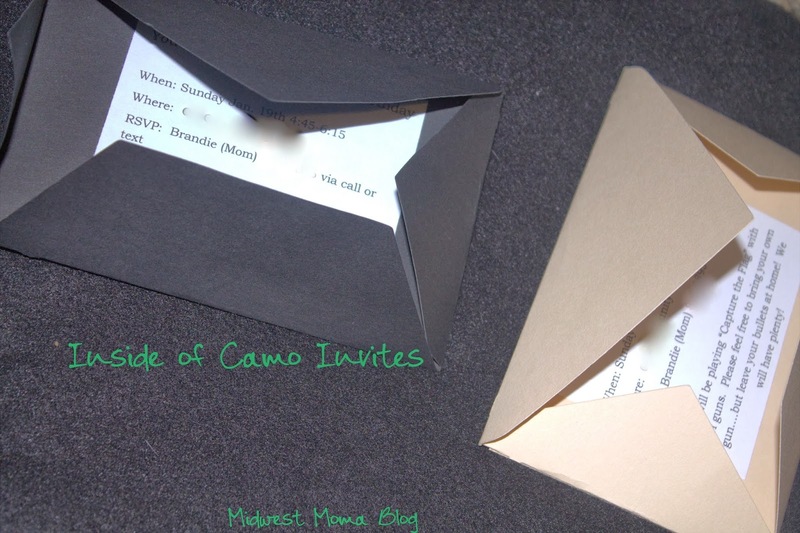 I manipulated the shape to ensure that the camo cutouts I made would fit on the envelope once it was folded. I then printed out info pieces about the party for the inside of the envelope. For both the camo and the info pieces, I ran them through my sticker maker (so much faster and less messy then using glue). Here is what they looked like closed. We used a single piece of tape to hold these down. To fold them, fold in the sides first, then bottom flap, then the top pointed flap. These are getting passed out during class today and the boy is pretty excited about them!